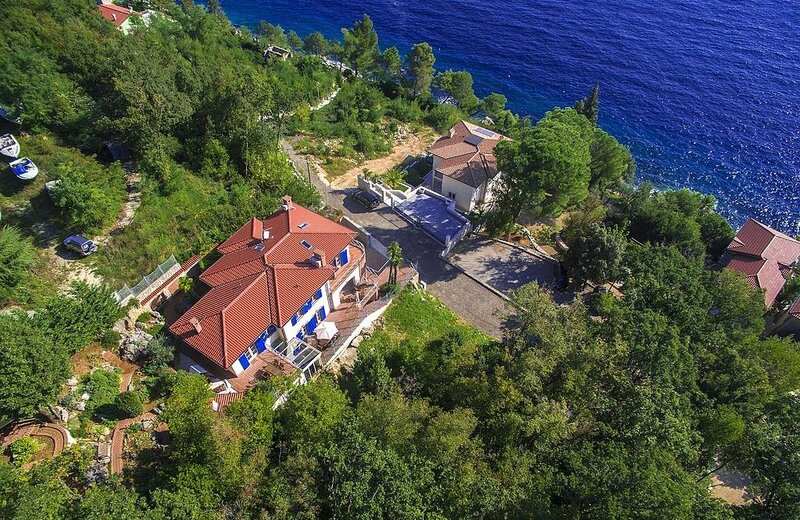 Villa Salvia is a comfortable and high-quality holiday villa on the Riviera of Opatija, in Moscenicka Draga, just 50 meters from the beach. Apart from the beaches and bays you will find everything necessary for the holidays - restaurants, cafes, shops, sports facilities, promenade, etc. 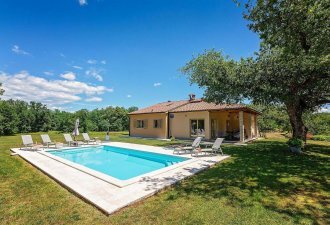 The villa is situated on a fenced and well-kept property of 950 sqm and offers to the guests an indoor pool, spacious terraces with sea view, two barbecues, garden pavilion and 4 parking spaces on the property. The villa has video surveillance and alarm. 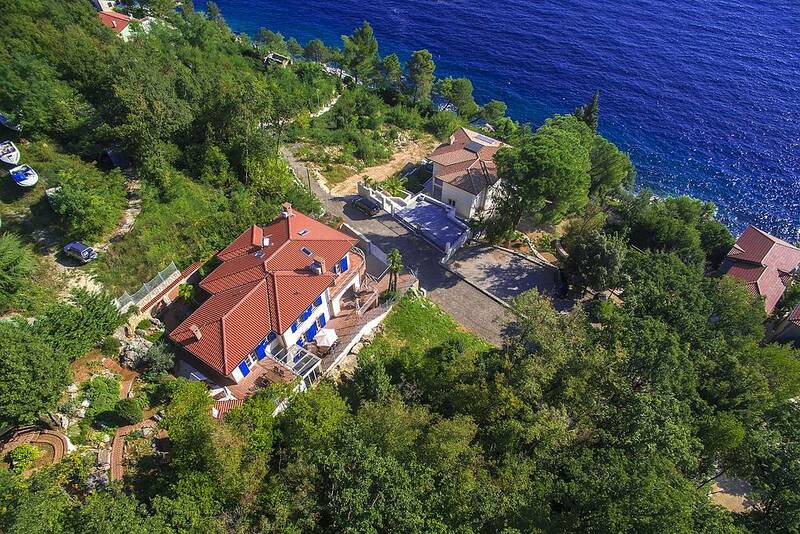 Villa Salvia has 390 sqm of living space on three floors. On the ground floor is a tavern with equipped kitchen, fireplace, large dining table and a shower/toilet. This room is ideal for shared meals and cosy evenings among friends and family. On the first floor there is a spacious living and dining room with an exit to the balcony where there is a sitting set and wonderful view toward the sea, fully equipped kitchen with an exit to the terrace with a dining table with 10 chairs and access to the pool. The first floor has also a bedroom with double bed and private shower/toilet, a pantry and a separate toilet. On the second floor there is a master bedroom with double bed, exit to the balcony with beautiful sea view, relax chair and private bathroom with hydro massage bathtub and shower/toilet. On the same floor there are two bedrooms, each with double bed and shower/toilet, and lounge area that leads into the garden. There is a separate apartment with its own kitchen and exit to the terrace with table and chairs for 4 persons, barbecue and a slide for the youngest, a double bedroom and a shower/toilet. On the third floor (attic) is a bedroom with playroom for children equipped with two double beds. All bedrooms have air conditioning and satellite TV. The indoor pool is in the separate part of the house and is not connected with the interior of thr house. It is accessible through the terrace near the kitchen and through a separate entrance. Next to the pool there is also a shower and a separate toilet. NOTE: The pool can be heated with a surcharge of 200,- € per week to be paid on the spot (the temperature without heating is 20-22 degrees in the summer months).